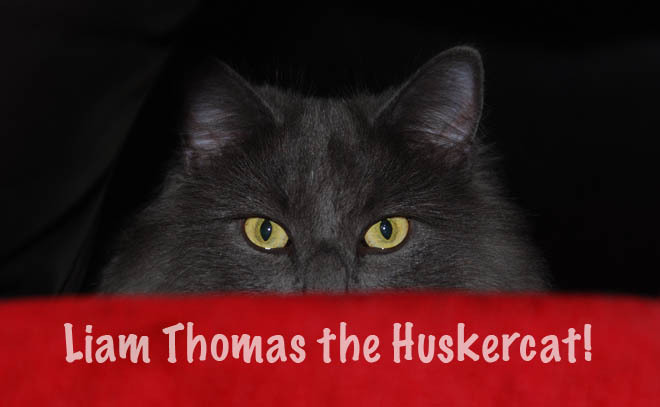 Liam Tommy the Huskercat: New Physics research prove cats are very smart!! 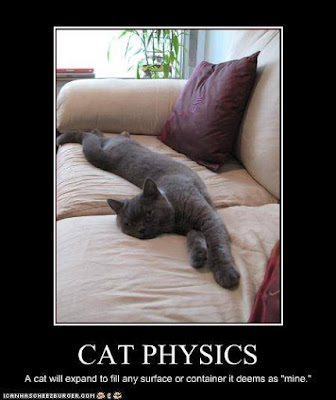 New Physics research prove cats are very smart!! 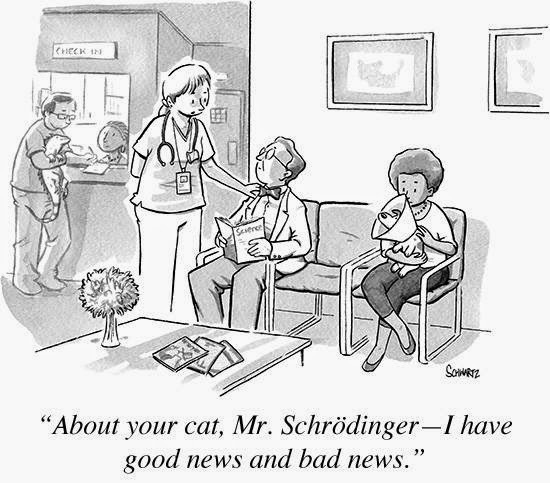 We've all heard them ... Schrodinger's cat jokes. Schrodinger's cat walks into a bar. And doesn't. I know - pretty darn funny!! What I have here is big news about cats and quantum theory (not the simple physics theory as illustrated in the following image). We all know that Schrödinger’s Cat Theory is a paradox used to explain the apparent contradiction between what quantum theory tells us is true at microscopic level and what we see with the naked eye. It shows the problems of applying the rules of quantum mechanics to everyday objects. The Yale team "built a device consisting of two, 3D microwave cavities and an additional monitoring port — all connected by a superconducting, artificial atom. The “cat” is made of confined microwave light in both cavities." According to Dr Chen Wang “This cat is big and smart. It doesn’t stay in one box because the quantum state is shared between the two cavities and cannot be described separately.” Dr Wang is a postdoctoral associate at Yale and first author of a study in the journal Science (which is a pretty fancy journal). “One can also take an alternative view, where we have two small and simple Schrodinger’s cats, one in each box, that are entangled.” But clearly the theory to go with is that Schrodinger's cat (or cats?) is/are really smart! Who wants entangled cats, right? This is important scientific research because it adds to our knowledge that cats are smarter than dogs. 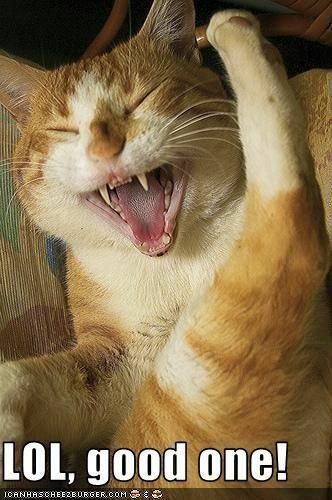 It's a fact that cats have almost TWICE as many neurons in their cerebral cortex!!! Dogs should be embarrassed by this. They probably would be but they're not smart enough! !